Chalet Maison Rose is a family owned, apartment-style chalet on the ground floor of an attractive freestanding building. It offers comfortable accommodation with all rooms being either en suite or with private facilities. Maison Rose comprises two separate apartments (with separate entrances) linked via an external terrace. Guests enjoy evening meals, breakfast and afternoon tea together in apartment 2. The separate entrances and living areas make this chalet a perfect choice for groups of friends or families. Superbly situated just a 375 metre (approx.) 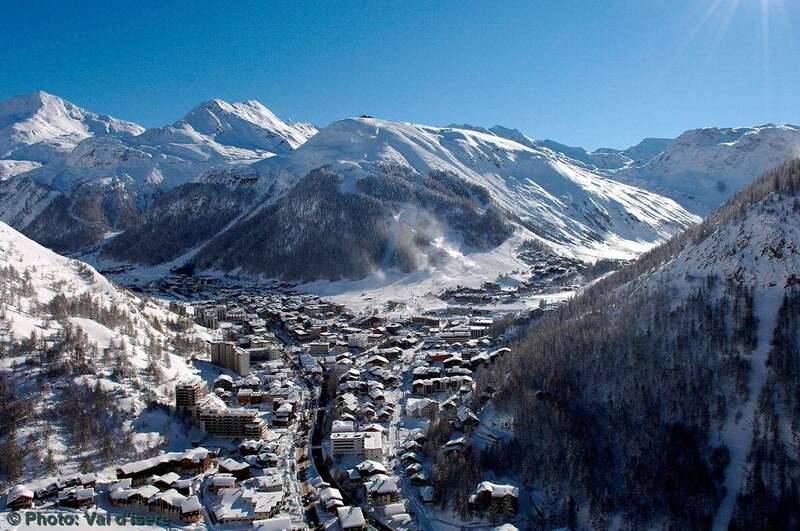 walk from the town centre and at the very foot of the Solaise nursery slopes, Chalet Maison Rose is ski-in/out. You will be hard pressed to find a better located chalet in Val d’Isere. A freshly baked cake or biscuits with tea and coffee awaits. Aperitifs and canapes followed by a delicious freshly cooked 3 course meal with a selection of wines unlimited until coffee is served. There is also an optional welcome drink where you can meet the team and learn what is going on in the resort (and our après ski programme) during your stay. · 7 days of breakfast, including 5 cooked and 2 continental breakfasts. *Chalet holidays departing the 16th February will receive 1 additional days chalet service of a cooked breakfast, afternoon tea and an evening meal with wine. The price shown includes 7 nights accommodation, with flights from Gatwick.